The Prince estate and Jay-Z have apparently kissed and made up. In a surprise announcement Friday, the hip-hop mogul’s streaming company Tidal confirmed plans to release a new album of unreleased Prince music next year. And even more unexpectedly: Jay-Z himself is overseeing the collection. “Our only goal is to share Prince’s music with his fans as he wanted,” the rapper and Tidal founder said in the announcement. Launched by Jay-Z in 2015 as a more artist-friendly alternative to popular streaming services such as Spotify and Apple Music, Tidal landed the rights to exclusively stream Prince’s two “HITnRun” albums and some other latter-era records in the months prior to his death in April 2016. However, after Prince died, his estate handlers at the time legally disputed his Tidal commitments amid a wide range of new dealings, much to the ire of Jay-Z. The rapper even referenced the dispute and singled out the estate’s controversial attorney Londell McMillan in the song “Caught Their Eyes,” featuring the lines: “I sat down with Prince, eye to eye / He told me his wishes before he died / Now, Londell McMillan, he must be color blind / They only see green from them purple eyes." 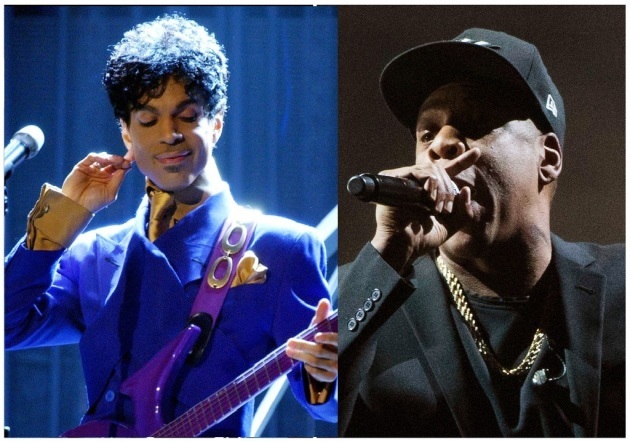 With the estate now being overseen by former Spotify executive Troy Carter – no relation to Jay-Z (aka Shawn Carter) – Prince’s handlers are apparently seeing eye-to-eye again. It’s not clear if the new collection of music comes from the same, funky, 2014-2015 recording run as the “HITnRUN” albums or when, but presumably the music will be material Prince recorded in recent years. Much of his older unreleased material falls under Warner Bros. jurisdiction. The company that first signed Prince and issued “Purple Rain” and his other best-known albums, Warner Bros is also planning to release an album of unreleased material on Sept. 28. Last month’s release of the original 1984 recording “Nothing Compares 2 U” along with a cool “Purple Rain”-era rehearsal video were the first tastes of that project. Tidal's announcement clarifies that its contract “does not involve any of Prince’s music catalogue that is subject to prior agreements with Warner Brothers Records.” Much like with Beyonce’s and Kanye West’s recent albums, Tidal will have exclusive rights to the other “new” Prince record for the first two weeks of release. Here's how Tidal originally announced its partnership with Prince.